We often visualize that perfect spot, away from the city sounds, by a river and dimly mood-lit with hurricane lamps. You want to call this private spot then, for the evening. You notice that there's a hammock to chill in and some firewood for a campfire and you're ready to call this home. Add a high adrenaline white water rafting adventure or a lazy boating ride. Or an evening walk where you may occasionally spot an owl, but you will definitely find yourself. Kundalika Camp is the idyllic raft and camp location. The campground is set in a lovely forested clearing which surprisingly has amenities to boot. This is an experience you would love to enjoy for a romantic evening by yourself or with a group of like-minded friends. We're in the business of creating happy campers! Mornings at the campground mean a 4-5 hour rafting activity. Some halting en-route Goa will head off in at dawn to make good times. The rest will find ample stimulus in a short walk in just about any direction from the campground. Evenings are made of pitching tents, campfires, barbecues and treks but also sunsets, silhouettes and sounds of nature. Our campground has just a few private sites. It is a cozy atmosphere where campers meet, interact and share camping stories. Each site is equipped with picnic tables and lanterns to light your space. Our common areas have games and puzzles, and the thrill of playing "Jenga", "Taboo" or "Scrabble" in the outdoors is a must-experience. Plan some reading, sketching or other do it yourself activity ideas to and enrich your experience. Showers and WCs are common to campers. These are maintained to high standards with designated changing space. Light clothing preferably Lycra, something that is easy to dry and not heavy when wet. Wear Strap-on floaters (footwear). They will get wet in the river so they should be able to take it. Do not wear jewelry or danglers around neck, ears or wrists. Avoid rings on fingers as far as possible. Rafting happens ONLY ONCE every day at 8:30am, except in the monsoons when it is more frequent. 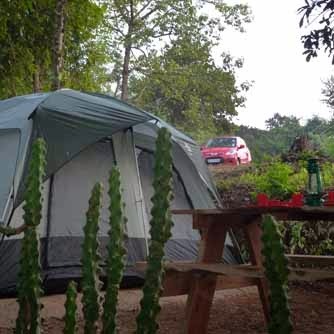 Our Kolad campground is a private space which encourages you to get out there and do some activity. Yet the approaching evening beckons you to settle down by the campfire, skim stones in the river or just reflect on how life got so busy! The river is accessible for boating or swimming but most of all RAFTING. Morning afternoon or night, there's nothing like a dip in the river to regain your perspective on everything that's good! It is possible to engage in a night trek and seasonal waterfalls. There is also River Crossing possible near the campground. Please co-ordinate with us for this activity. Mornings have pleasant ambling and a rising buzz as our guests emerge from their tents. You will also hear the hectic activity of those leaving for rafting that day. If you're still at camp, You can attempt some yoga or meditation with the rising sun. A walk down to the river is beautiful at this time. It is a 2-minute walk but with no cellphone connectivity at the spot, it is quality time to lose yourself. You can of course, dig into the board games or puzzles or continue reading that novel that you put down at sunset. There is ample shaded space to even battle the afternoon sun. Evenings are spectacular as the campground is bathed in a golden glow. The evening is also time to pitch tents. Do this before its too dark. Don't worry we will remind you. Nights are restful with sky gazing, or a night stroll or even a night hike is possible. And finally sleeping in tents is an experience in itself. There are at least three meals that you need to plan for your stay at our campsite. 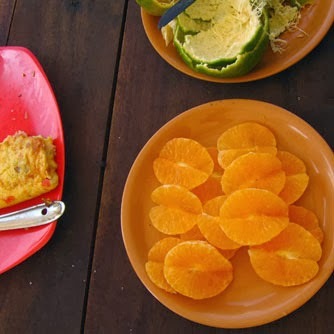 While a simple breakfast fare is offered, you will want to plan lunch, dinner and an evening snack. TARIFF Camping Charges Adults Rs.2200 (per person) per night. Rs.1850 each for children under 8 yrs. Includes: Stay in Dome tents. with Evening Tea/Coffee; BBQ Dinner and Breakfast with Camping facilities. Extra Meal Cost (Lunch): Rs.400/- per head. Meals will be veg / non-veg. Check-in Timing: 3 pm and check out 10:30 am next day. What we offer for (per person)? (A simple breakfast is included with your camping charges. Available from 8:30am through 10:00 am. Tea will be available on-the-house in the morning with breakfast and evening at 5:00pm. 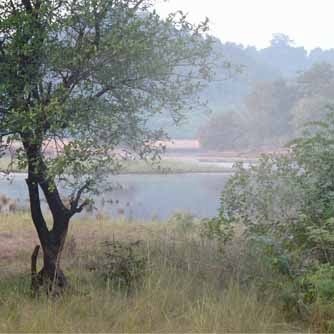 White Waters Kundalika Camp promises to deliver the camping experience with just a little added amenity. You can enjoy a close connection to the outdoors with campfires, barbecues and an ambiance that you have come to love!! 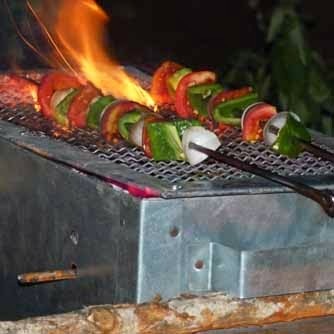 (What we offer in barbecue dinner? Simple home cooked village lunch can be arranged for Rs.400 per person. Meals are charged at Rs.250* per meal for kids under 8. Overnight Camping: A night of camping has a check-in time of 3 pm and a checkout time of 11:00 am. You can request a late checkout and we will be very happy to oblige if we have room. We also include breakfast on the 2nd Day in our pricing. 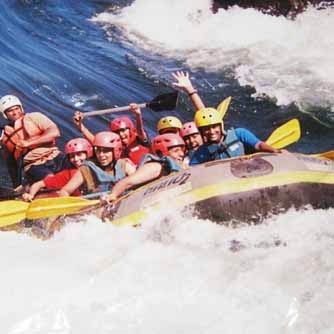 Rafting and other activities need to be booked and paid for well in advance. Please get in touch with us for prices on rafting and river crossing. Please call +91 9619182010 for booking and queries. We require prior booking and payment to help us plan to service you. Yes. But please have your phones on low volume to respect your neighbours. We accept credit / debit cards bookings only if done minimum 5 days in advance. Credit card and debit cards not accepted at camping ground currently.